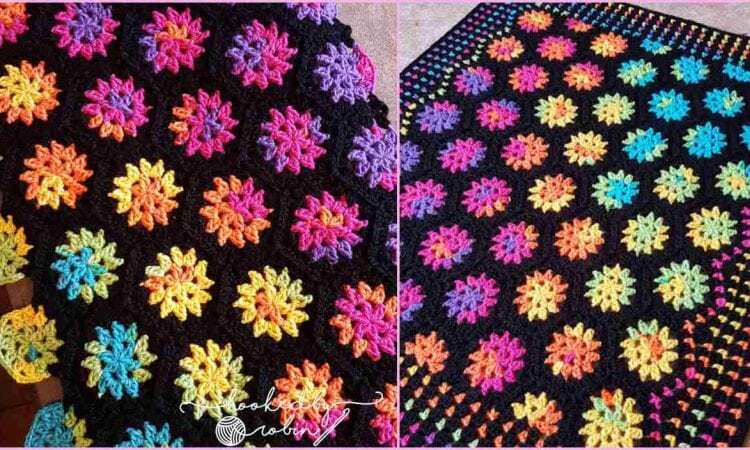 An easy and quick hexagon blanket motif will be a fun project for you to make. A free pattern and video tutorial to follow allow you to make one, even if you are totally green in crocheting. As you can see in the photos, in the middle of the hexagons, there are a colorful flowers consisting of two or three hues. Enjoy!